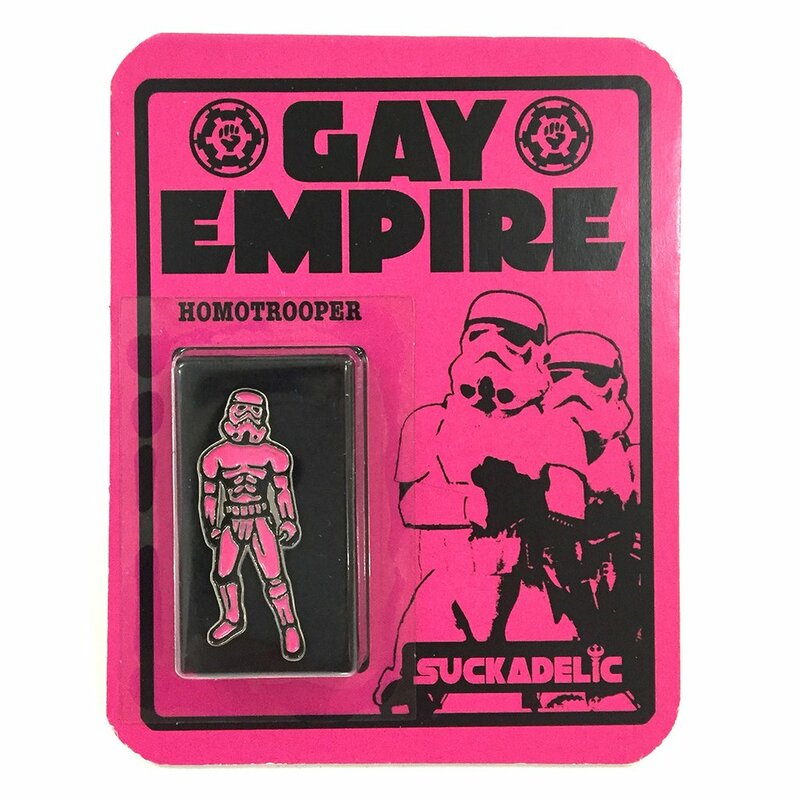 Discordia Merchandising worked with Suckadelic to bring Sucklord's Classic Gay Empire 'bootleg figure' to life in Enamel Pin form. With special custom made blisters perfectly sized to fit enamel pins thanks to Dov of DKEtoys and Artist Quality thick card backs developed by DAMtoys, we spared no efforts to assemble the best possible packaging any enamel pin has ever received! We even floated the pins on black fleece within the blister so there is not bouncing around or piercing of the card backs. There is also a VERY limited volume of Artist Proofs in Sucklords hands, so good luck getting any of those out of him. Let us know if you need our Services.